Based out of Cleveland, Ohio these metalcore, thrash-addicts have taken the metal genre to a whole new level after unleashing "The Infection." Matt spoke to me briefly on the band's tour bus outside their last stop in California before heading out East to finish up the remainder of what is left is The Decimation of the Nation Tour. 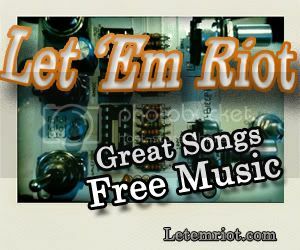 NP: So you must get a lot of freedom to do what you want to do with your music? Matt: What's cool about this record is having us (the band) as a whole grow up. Also being able to combine our certain favorites together to create a style all our own. NP: What are you currently listening to? Matt: We kind of go back on what we grew up with. I've been listening to Pantera lately. NP: If every member of Chimaira was locked in a room together what could you all agree on to listen to? Matt: What's cool is that a lot of us have the same musical backgrounds, like Pantera, Metallica, Slayer, Megadeth - any of the old school heavy metal acts we can all relate too. NP: Are you looking forward to any specific venues or cities on this tour? Matt: There's some. I'm trying to think... All the California dates! I love coming out here to the West Coast, but I also like going out to Austin. Matt: Not really anymore, everything is pretty much going well. NP: Is everyone in Chimaira still sort of located in Ohio? Or have some members branched out and moved away? Matt: Everyone is in Cleveland. Chris moved down to Florida, stayed out there for 2 years, then moved back. So having everyone around makes the music process a lot easier. NP: Does that make it difficult when the time comes to practice or write? Is the writing done separately and then sort of pieced together, or is it more of as group effort? Matt: We write on our own at first, then come together. Then we get together and piece it altogether. NP: How do you feel like "The Infection," is different than the other albums that Chimaira has released? Matt: It's definitely different than anything else we've released. NP: How does it make you guys feel to hear so many other bands trying to sort of mimic your sound? Is it flattering or? Matt: I think it's flattering for sure! It's not like someone is trying to rip us off, but I think it's cool overall. 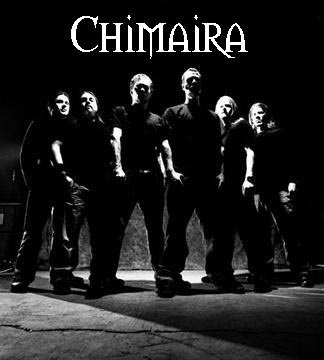 NP: Of all of Chimaira's albums, what is your personal favorite? Or is that like asking you to try to choose a favorite child? Matt: I'd have to say this one because it's fresh and new. Matt: Thanks for all the support.